With an active sport like hockey it is easy for equipment to quickly become dirty. Having to smell it once the final buzzer sounds isn't something to look forward to. For many parents and players the stench of hockey equipment becomes a standard household smell for the winter months, but it doesn’t have to be that way. While the smell may be potent enough to inspire a post-hockey equipment routine, the effects that stinky sweat creates go much further as harmful bacteria develops. Simple steps in equipment cleaning and maintenance can go a long way in not only steering away the stink, but also improving overall health and lengthening the longevity of equipment. 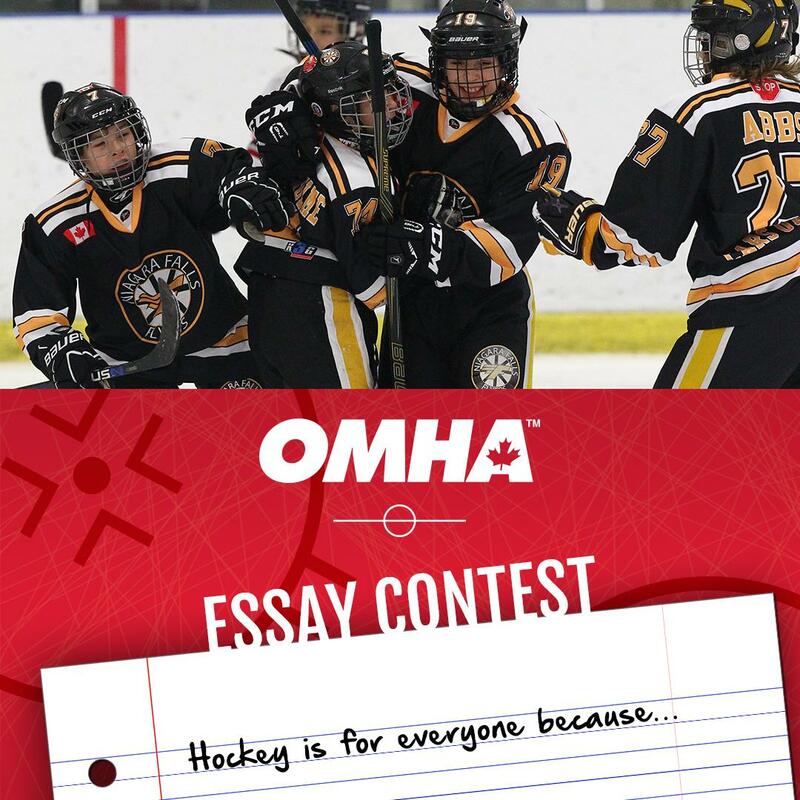 For starters, get into a healthy habit of airing out your hockey gear after each ice session. To effectively do so, be sure to take each piece of equipment out of the bag and hang it on a drying rack to facilitate faster drying times. This will also help to decrease the potential for bacteria buildup. Base layer, neck guards, socks and jerseys can all easily be thrown into the wash on a gentle cycle. It is likely safer to hand wash larger pieces of equipment like pants, shoulder pads, elbow pads and shin pads. Hang up all equipment to dry. 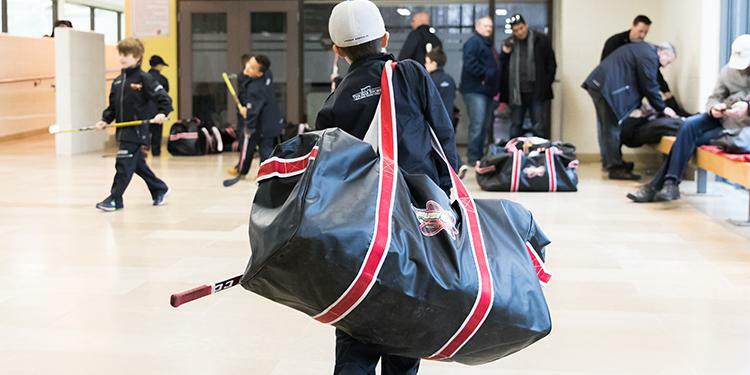 This is a responsibility that young players can be tasked with when they return home from the rink. Have a designated spot where the equipment can be aired out and parents can create a washing schedule which players can assist in. There are a variety of products available that are designed to reduce bacteria and odors and they can be found at most athletic stores. Look for a spray that does not simply mask odors, but rather soaks into equipment to kill bacteria as it develops. As a result, your equipment will last longer, your body will be exposed to less harmful bacteria, and of course, that festering stink won’t be nearly as bad! Be sure to pay attention to the spray’s instructions to ensure that it is being used properly and that you’re reaping its true value. You should also consider what type of base layer you wear underneath your equipment – the days of throwing on a cotton t-shirt or long johns should be long gone. Many hockey companies are now offering a variety of upper-body and lower-body garments that feature antimicrobial technology that will help manage bacteria while also wicking away moisture. Even better, these pieces often come in both loose or snug fits; men’s, women’s and children’s options; and sometimes feature integrated neck guards, and jocks allowing you to find the pieces that best suit your game. When investing in new equipment consider pieces that feature antimicrobial liners that will compliment your base layer and your equipment maintenance routine. Simple steps in equipment cleaning and maintenance can go a long way in not only steering away the stink, but also improving overall health and lengthening the longevity of equipment. There are a number of pieces of equipment that often get overlooked in the cleaning routine. Gloves, skates and helmets require a more careful, hands-on approach for maintenance because of their unique materials and use. When cleaning helmets, don’t forget about the facemask and chin cup. Use a soapy wipe and go in between the interior padding and dry when finished. Skates can’t be washed but removing the insoles and doing a quick dry of the interior can help remove some of the moisture and odour. Remember to wipe and dry blades to prevent rusting. Use skate guards to slow down dulling of the blade and to prevent the sharpness from cutting yourself or other pieces of equipment. Loosen the laces and open the tongue of the skate when airing it out. Like helmets, gently clean the interior of gloves. A small tip that can go a long way with any piece of equipment: place a scented dryer sheet in the equipment or in the bag when it’s not in use to help remove some of the unpleasantness. No matter how often you’re on the ice, taking simple steps to air out your gear is a win both on and off the ice. Without proper cleaning, that smell of ‘stink’ can eventually turn into a more dangerous buildup of mold. Do your equipment and your body a favour and establish a routine that works for you. Your nose will thank you later.